Ok, ok, I admit I am overreacting a tiny bit. I don’t think I will trade in my cozy life under the Caribbean sun, at least not permanently but sometimes I do fantasize about living in a cold country again. Right about now a reader in some colder weather, all bundled up and holding on for dear life to a hot coffee mug is screaming: WHY? I hear ya, my dear Popsicle. I do. Blame it on the whole “the grass is always greener” BS or perhaps it is just human nature to always want what we do not have. Fact is I have lived in a cold country for 6 years and completely understand what it is like to walk in slush, feeling like your ears are about to just fall off your face and making unladylike falls on icy pavements. No, my fantasies are not based on hallmark cards and Christmas movies where the snow is always perfectly white and there is always that handsome stranger waiting to catch you when you’re abut to hit the pavement. Snowflakes on my nose and eyelashes. This is one of my favorite things. After 14 years of being back in the Caribbean I sometimes find myself shamelessly fantasizing about trading all of this heat in for a little cold, at least for a week or two. Especially when spending time on Facebook, looking at pictures posted like this one by my beautiful friend and fellow blogger Heather from My Dutch Life who recently traded her island life for hard cold winter days in the Netherlands. The reasons why I would trade my Caribbean life for a bit of cold weather may baffle you, or not. One winter, back when I used to live in the Netherlands I was invited by my girlfriends to go to a sauna. Like a good little island girl I quickly made a waxing appointment, cause God forbid I have a bathing suit malfunction while not perfectly groomed. Little did naive little me know that first of all most European saunas are “sans” robes and secondly everyone walked around in their birthday suits. And let’s just say that it appeared that president “Bush”was quite favored among most of the sauna visitors. Since then I decided to do as the Romans, or in this case the Dutch do and took grooming advice from everyone’s favorite Wookie, Chewie. How I miss those hairy days. The winter meant no need for shaving, waxing, plucking or zapping (at least if you were single). If living in the cold means I can go without this daily or weekly torture routine, sign me up. Cold weather means great fashion. The boots, the coats, the jackets it all sums up to Fashion heaven. And the best part? You can layer and hide all your fluffiness. Isn’t that just wonderful? Sweaters over t-shirts matched with tight faded jeans and high boots. Add a swanky scarf, some cute ear muffs and a cute double breasted coat. Yes, I can definitely live like that for a few weeks. Believe it or not it is hard to look fashionable in the Caribbean when all you want to do sometimes is walk around in your mismatched underwear. Outside is cold while inside is warm and cozy. The cold weather makes for a perfect excuse to stay in and cuddle up to your favorite person or pet. There is nothing like binge watching your favorite TV show, wrapped in a warm blanket while sipping on hot chocolate. Yummmm. Here in the Caribbean a night in means air conditioner or fan on, all oiled up in mosquito repellent and with a mosquito zapper in hand. There you have it. 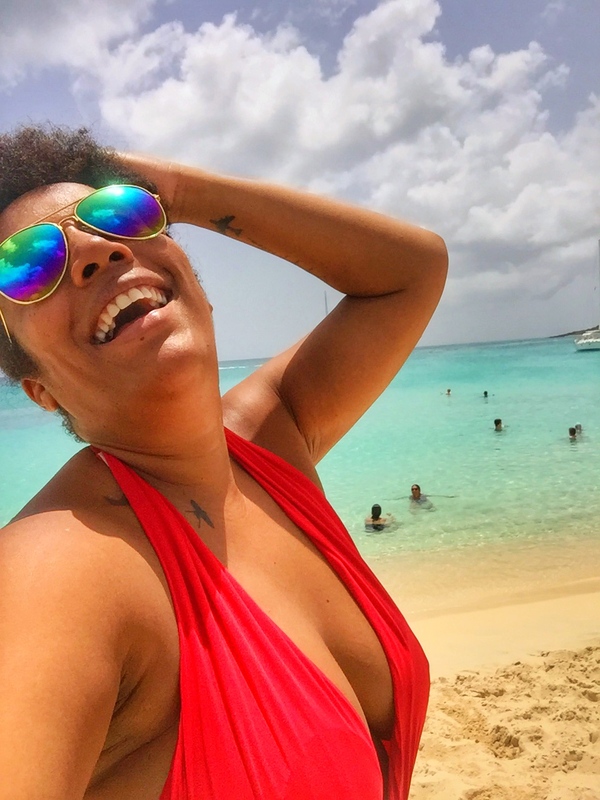 My top 3 reasons for trading this Caribbean life in for a little cold weather. Now who is willing to play “Trading Places” for a week? Just returned from Venice, Florida’s humid 80 degrees to Bend, Oregon’s mountain snow conditions where the air is clean and crisp. My suntan is fading already and I caught a cold – from the flight. Alas. This is a world of trade offs. I miss the warmth of the Venice beach laced with seashells but while there I thought about the clean, crisp mountain air WITHOUT bugs. I’m grateful to be able to experience both! Dislike! I’m cold when it’s 20 degrees (C) so I won’t be joining you. Those snow pictures are all nice when I’m in my house. Chances are I will need to go to work at some time. When I lived in Toronto, the temperature in my apartment was always set at subtropical lol. After Sean and I went back and forth turning it up. He would just give up and open the window in his room 🙂 To top it all off people are just so grumpy when it’s cold. O, Riesje! You forgot the food…the warm big breakfast, the delicious soups and the winter stews…sitting by the fireplace..or at a cozy restaurant being served by a tall handsome waiter. And yes, I totally agree…the clothing is so much better! I always felt that if you are hot, you can only take off so many clothes, but I learned in Norway that there is no such thing as too cold weather, it’s all in properly dressing for the cold…the Norwegians are experts in layering…actually here in holland it is way harder to dress and not feel really cold…I much prefer below freezing cold, the damp cold air in holland seems to penetrate even the warmest winter coat. 1. I had the best hair days while in Fairfield, CT. My hair was always shiny, and would perfectly fall on my shoulders.My girl friends use to tell me I should sign up for the Pantene commercial. 3. I loose weight faster when I worked out in the winter. So obviously I long for the good old cold days. SO yes, I would join you in a heart beat. I sooooo agree with all three points. Although since going natural my hair now prefers the warmer weather. But your number two is so valid. No unnecessary perspiration.